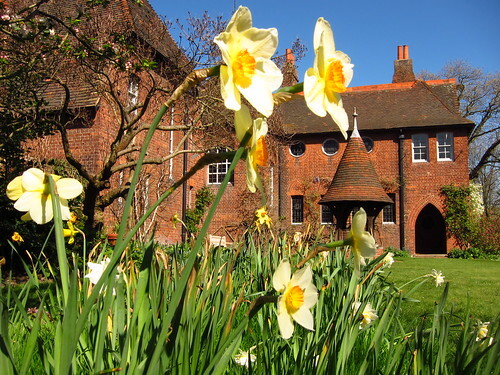 Another lovely day today, and Red House was looking great in the spring sunshine this morning. I am visiting London and would so love to view a spring flower display. Especially Wisteria, Clematis, Tulips, Forget Me Nots etc. I would particularly like to view residential gardens. Are there any neighborhood or London streets you recommend where people have nice gardens growing? I found a few photos and articles written by Dan Pearson about spring flowers in the Guardian, but he doesn't tell the reader where they can also go view these beautiful flowers. Any ideas would be greatly appreciated. Thank you for your blog! 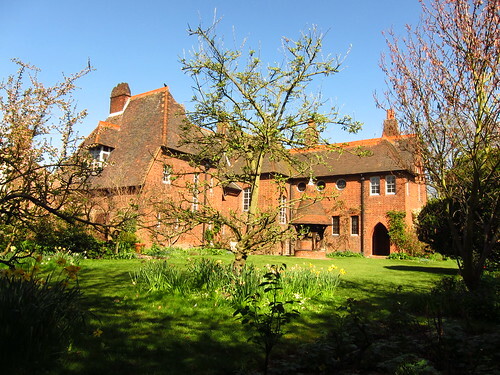 If you'd like to visit a residential area with nice gardens, I think that the Hampstead Garden Suburb, near Golders Green, is a nice place for that. There are some beautiful Arts and Crafts houses and you can usually see their front gardens well from the street. Also, you can walk from there across the Hampstead Heath Extension to Golders Hill Park and the Pergola and Hill Garden, where you can see a great display of wisteria and clematis. Fenton House Garden is nearby, too.